Another Mirro recipe. 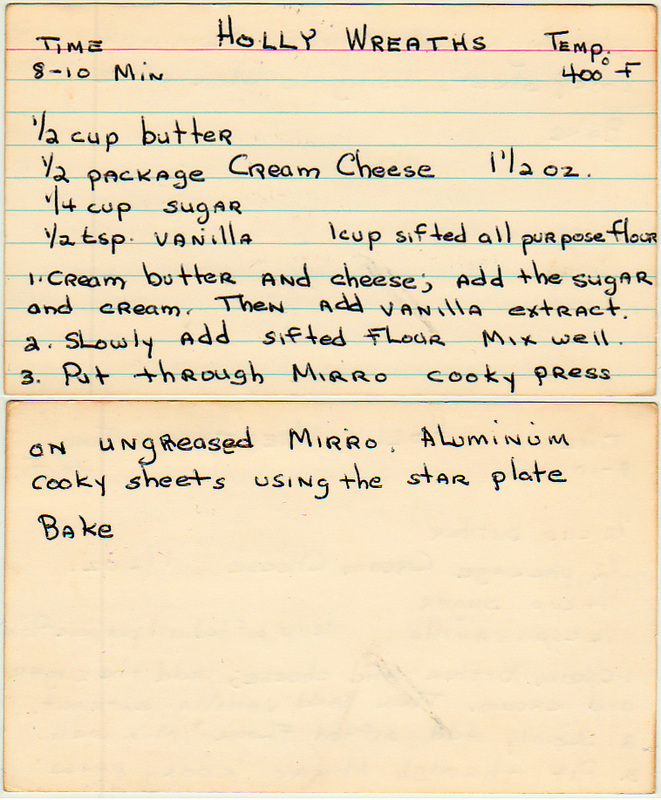 We learned about Mirro in the post for sour cream cookies. Cream butter and cheese; add the sugar and cream. Then add vanilla extract. Slowly add sifted flour. Mix well. Put through Mirro Cooky Press on ungreased Mirro Aluminum cooky sheets using the star plate.